Sometimes our favorite man becomes last on the list in the wedding department. Don’t forget to focus on his style as well as his Groomsmen. It really seems that wedding attire is reflecting the personalities of the Bride and Groom this year. The 2014 trends seem to be headed in that same direction. It looks like bow ties are out and vests and ties are in. Groom trends are going retro/vintage or less structured and casual. They matching vest and tie colors for a more coordinated look. 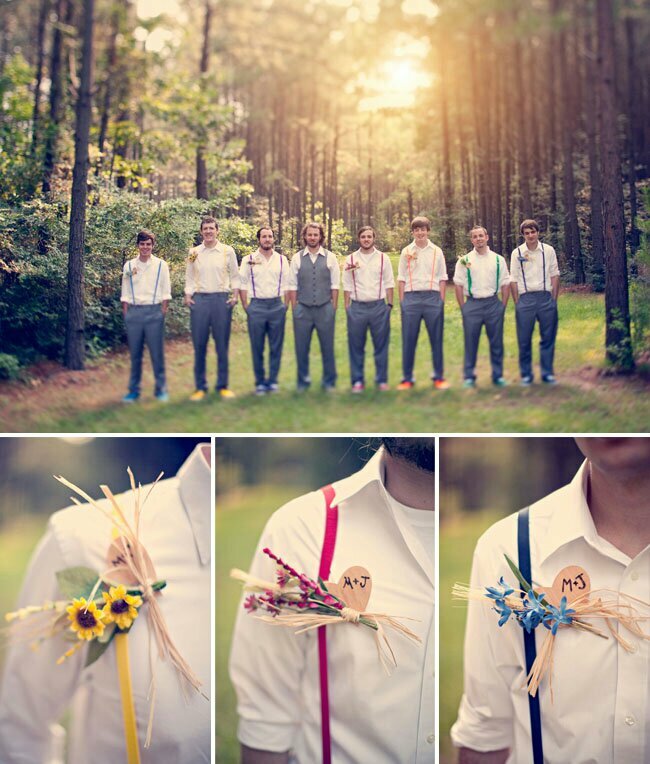 Boutonnieres are really getting creative, colorful and fun! I just love seeing the couple’s personality shine through in their wedding ideas!